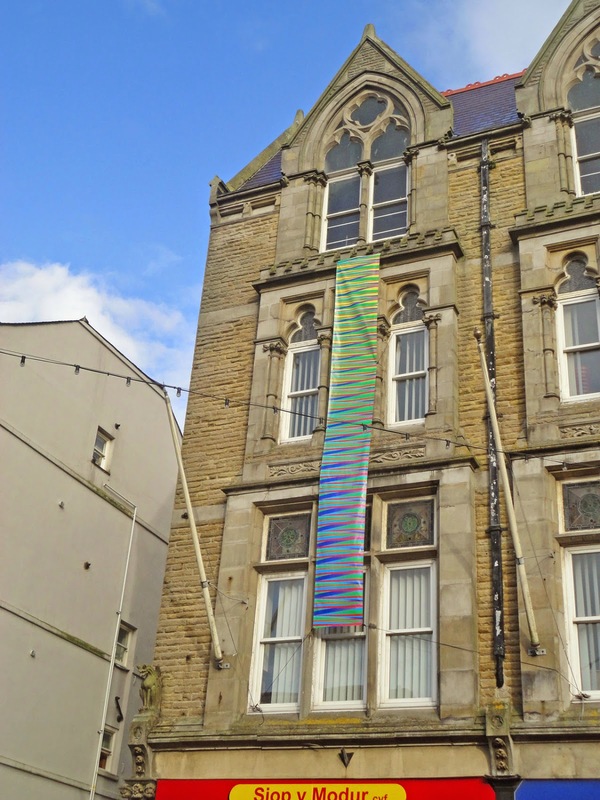 The nomadic visual art fair is taking place in Caernarfon at the moment. My work synchronicity banner can be seen at the the Institwt, Penrallt. The work builds on previous projects that have used external banner format and the methodology of combining bars of colour to create a chromatic identity.